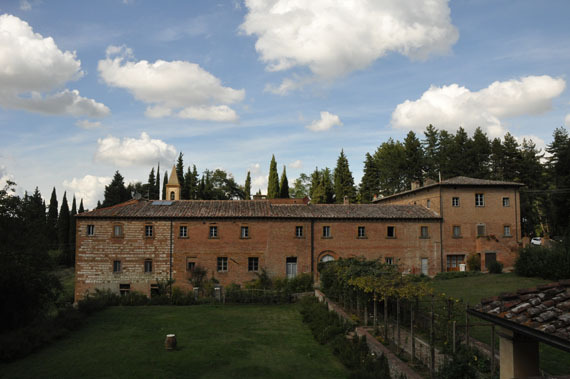 Imagine a secluded woods in Tuscany, at almost 500 meters above sea level, with a view into a vast valley. In the early modern period, you’d be a few days’ walk from Florence or Pisa, in a territory that is beautiful in the summer but brutal in the winter. 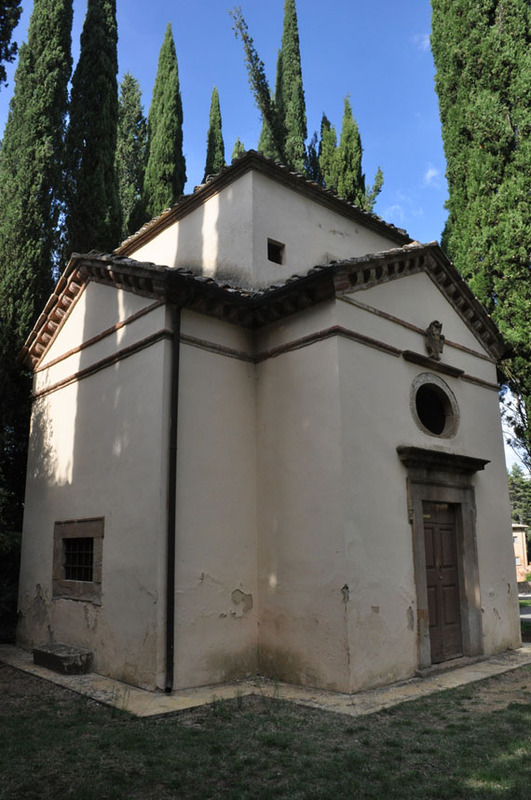 The hermit San Vivaldo is said to have lived in this place in the Pisan hills around the end of the 13th century, and a church and hermitage named after him was established by the Franciscans. In 1500, this became the location of the “Jerusalem of Tuscany,” a substitute pilgrimage location of a type called Sacro Monte. 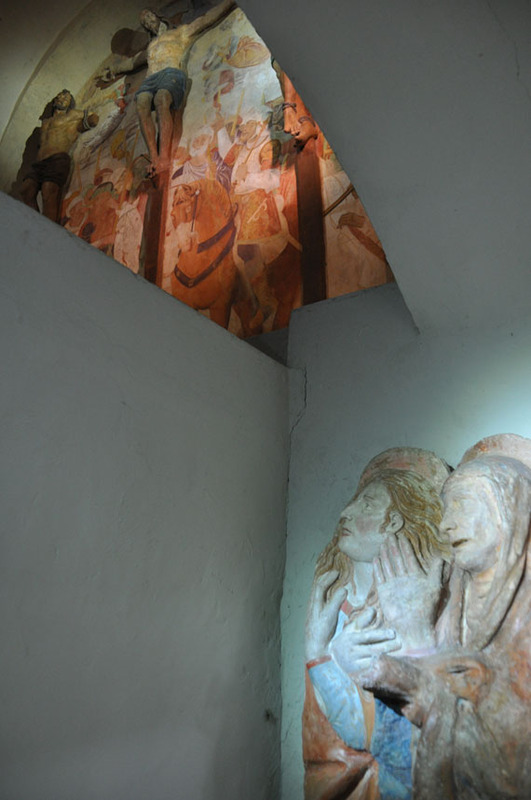 21 structures contain terracotta figures and frescoes, placed in lunettes, that teach the Passion of Christ. 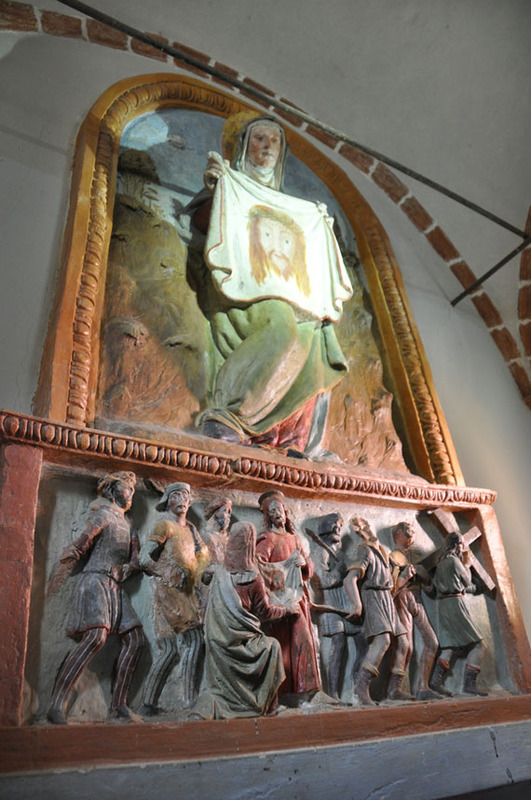 Us modern pilgrims can visit it in an hour with a Franciscan tertiary guide, but in the 16th century the process was longer, more physical, intensely religious, and worth years off from Purgatory. The approach to San Vivaldo by car nowadays is not at all difficult. It’s just 20 minutes’ drive inland from Pontedera off the Fi-Pi-Li superstrada, about 1 hour and 20 minutes away from Florence. 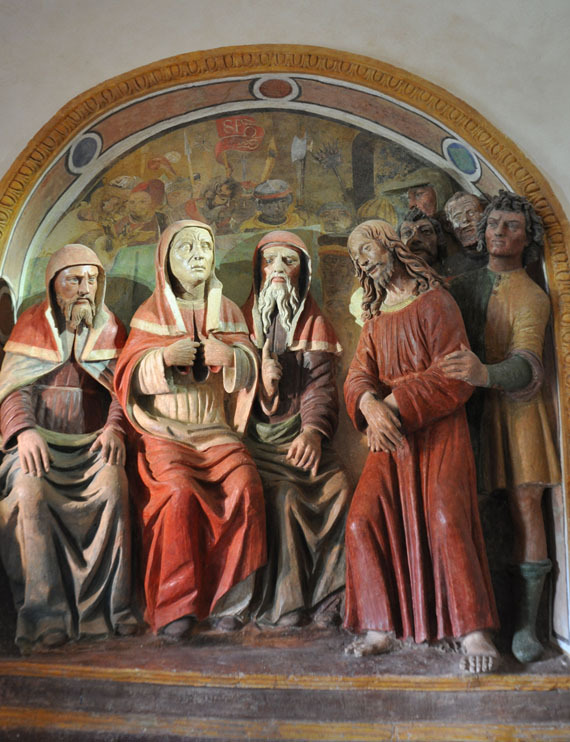 The Sacro Monte is located 5 minutes away from the major golf and luxury resort development of Castelfalfi, where I was staying when I visited. 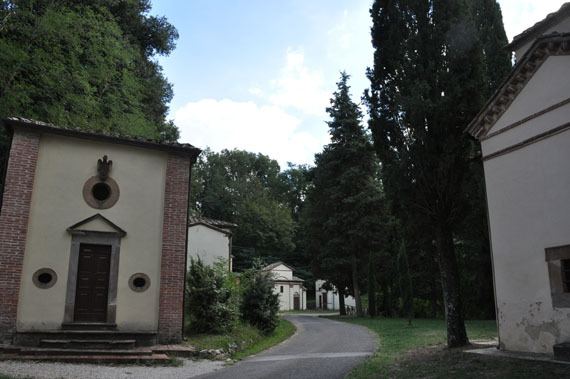 You access the property and actually drive right past some of the structures, parking near the church and annexed monastery. I expected to be the only person there, but found myself amongst a group of about a dozen well-informed Italian tourists. 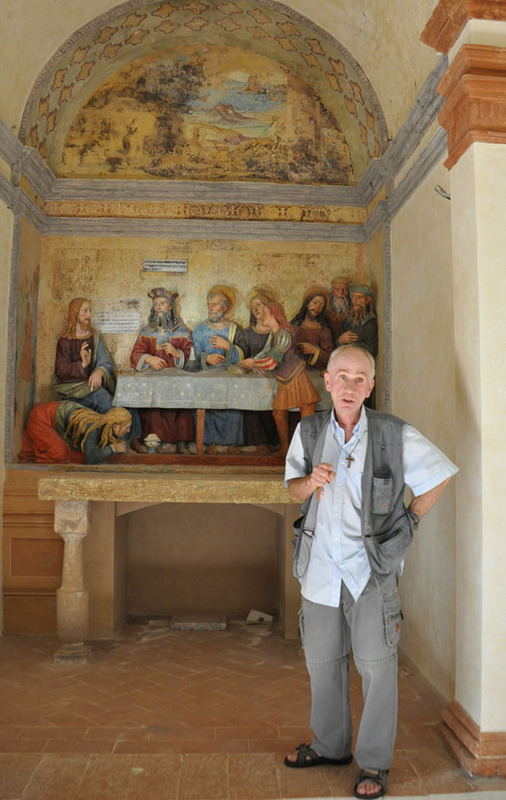 Our guide was Antonello, a Franciscan tertiary who assists the community of Franciscan monks who still live on the property: there are just two left. Antonello regularly travels abroad and speaks fast Italian as well as a number of other languages including French, English, Spanish and perhaps some German (you’d have to ask him). He’s practical and extremely well informed, and manages to transmit interest in the place even if he gives a few tours each day and probably has been doing so for decades. 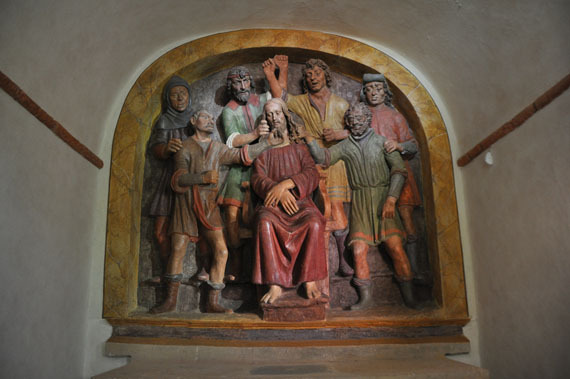 In the late 15th century, the Franciscans were particularly active in encouraging the construction of Sacro Monti, which were to become recognized “substitute” locations for pilgrimage. While crusades and pilgrimages were holy, they were also very expensive, not to mention dangerous, especially after the Ottomans gained control of Constantinople in 1453. So the location of pilgrimage was moved closer to home, creating an imitative topography of Jerusalem and using more or less immersive artistic and meditative techniques to provide a complete experience. In this counter-reformation moment, the focus thus moved away from the conquer of other people towards an inner conquering to benefit one’s soul. 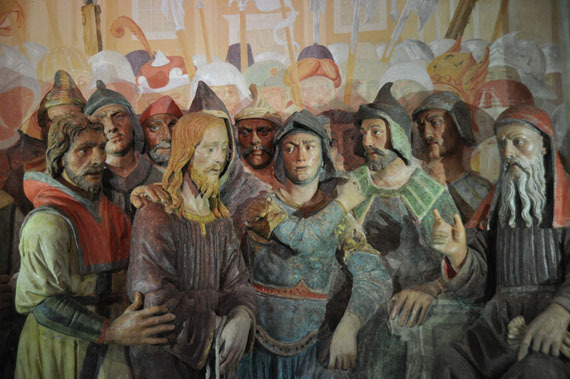 In the 16th century, San Vivaldo in Tuscany and Varallo near Lago Maggiore were begun just ten years apart, and both represent the life of Christ. 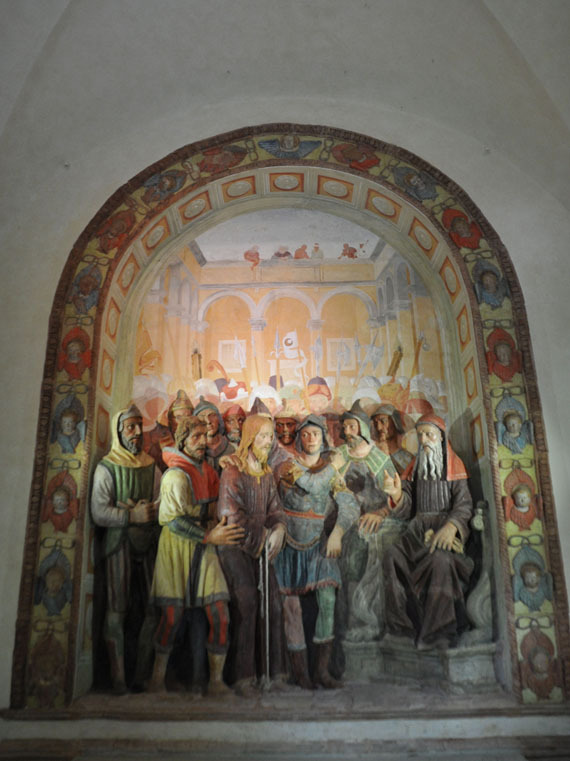 Other sites in Italy were created to represent other religious topics: The life and miracles of St. Francis at Orta, The life of the Madonna at Crea and Oropa, the Mysteries of the Rosary in Varese and the Via Crucis at Domodossola. Each of these is a kind of “Bible of the poor.” Opened to the public on specific feast days (at San Vivaldo, for example, only 8 times a year), visiting them would bring tangible benefits to Christians in the form of indulgences. 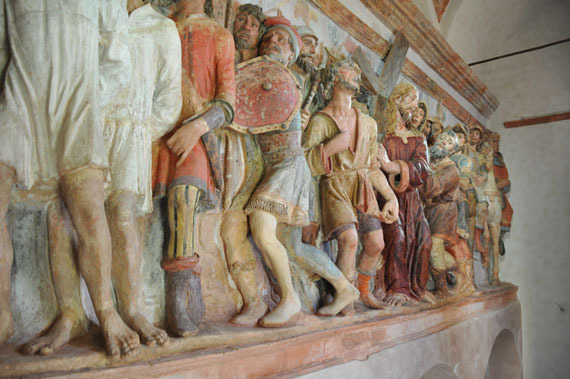 Pope Leo X granted indulgences for visiting San Vivaldo and Varallo, for example, that pilgrims received based on the number of chapels that they visited. 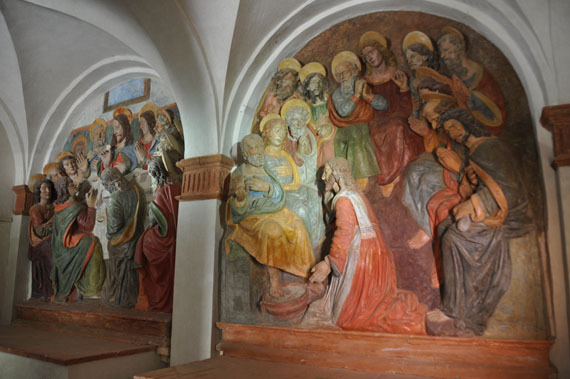 At San Vivaldo, this was 7 hours for each major chapel and 1 year for each minor chapel. Your average sinner had thousands of years in Purgatory to pay off, so this was just a drop in the bucket. In order to earn your years off purgatory, a simple tourist visit like the one I did would not suffice. Rather, you had to follow practises of meditation on Christ’s suffering which were taught through books and sermons. 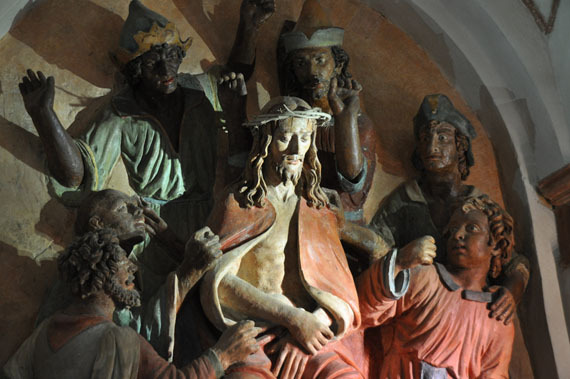 This type of meditation required you to put yourself in the place of a bystander during the Passion of Christ, and meditate on what happened. 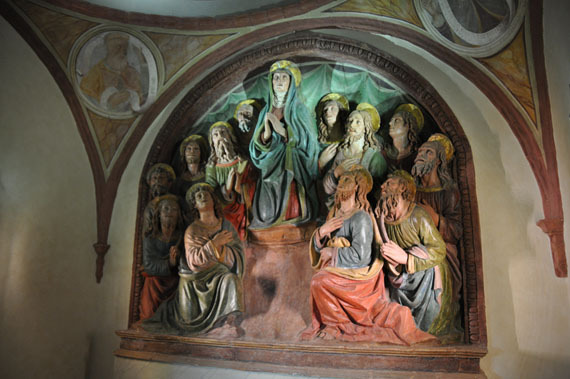 The Sacro Monte helped you do this by its physical shape and through three-dimensional art. 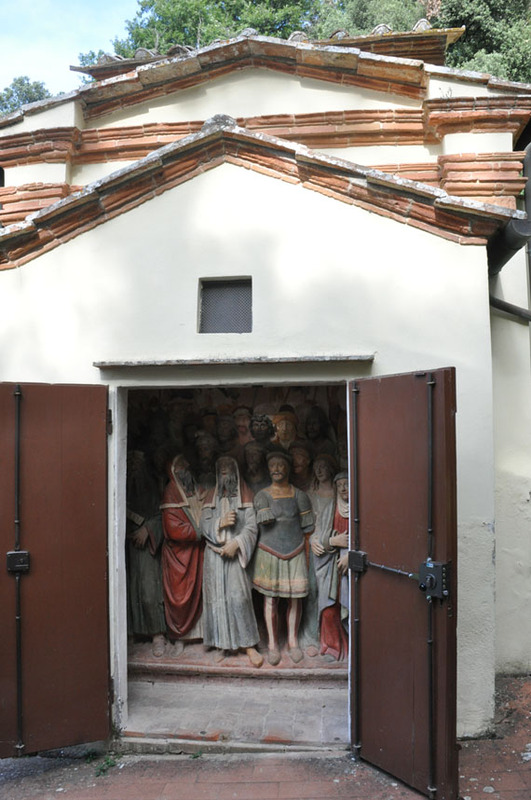 One of the most immersive scenes at San Vivaldo is the one pictured here above: you enter a tiny cell (2 people fit inside) so that you are crowded in with the Marys who lament at the foot of the Cross, and you look into the chamber above (accessed by a set of stairs on the outside of the building) in which there is the actual scene of the Crucifixion. The spatial relationship forces the worshipper to have an empathetic experience. 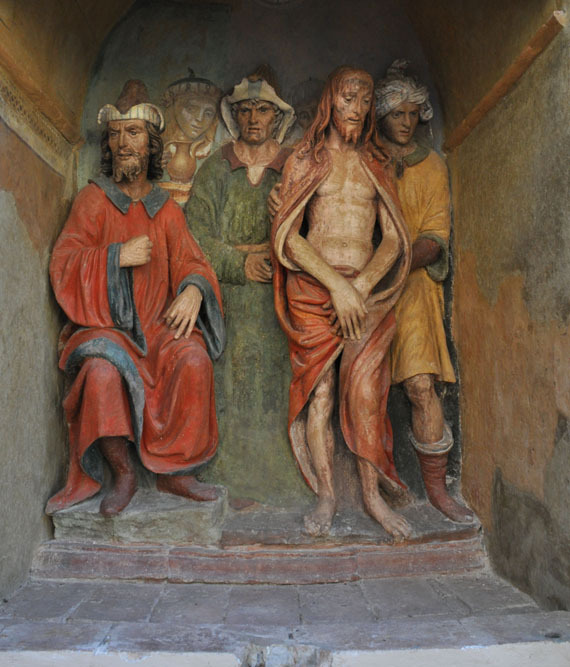 Another forceful example of this is the chapel of the Holy Sepulchre, composed of an antechamber and tiny second space in which there is the open tomb of a terracotta Christ. To enter the tomb area you have to crouch down to pass through a tiny doorway, because one should kneel before the Saviour. 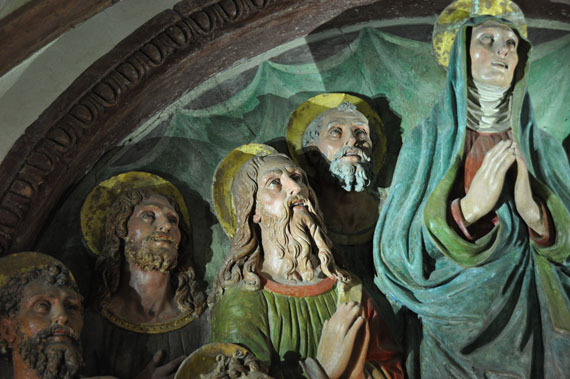 I think the tomb experience is a strong one even as a non-practising Catholic. 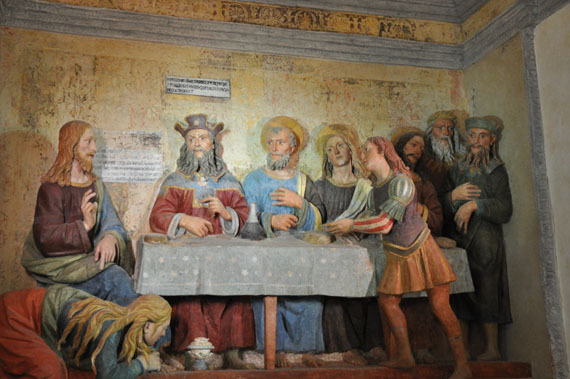 At San Vivaldo, most of the other scenes are less immersive, since they are created in niches inside chapels, as if they were three-dimensional altarpieces but not much more. 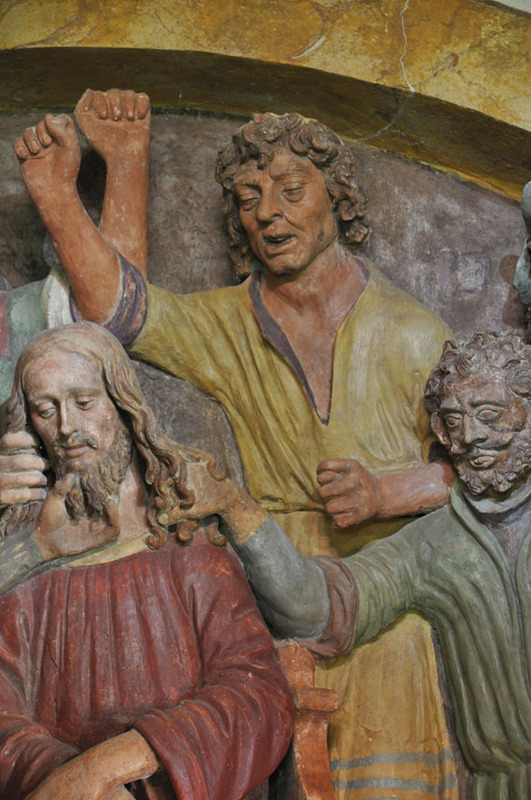 For the modern viewer it’s more difficult to see how these might have generated strong emotions in pre-modern religious practitioners than is the case with these scenes that play on space. 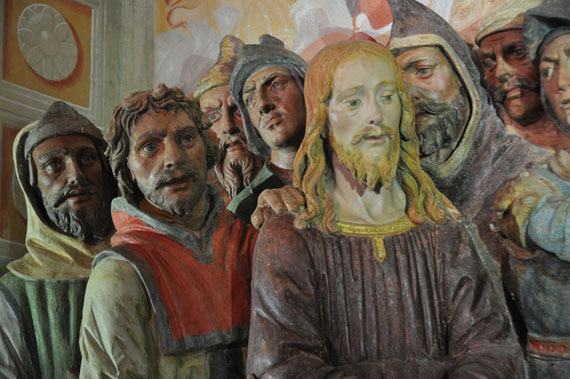 At Varallo, for example, all the chapels are complete dioramas that visitors could enter (I haven’t yet been, but assume that they are now cordoned off). 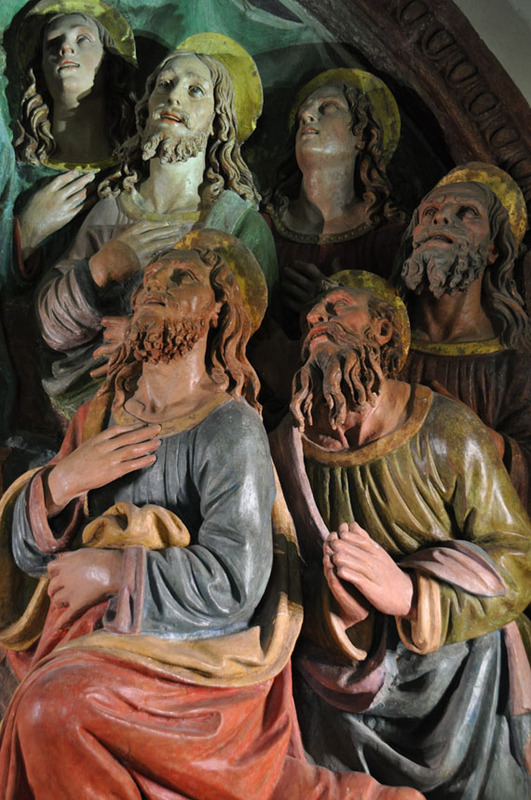 The terracotta figures at San Vivaldo were executed by the Florentine della Robbia school from 1500 to 1516 (a few chapels were destroyed and later replaced). 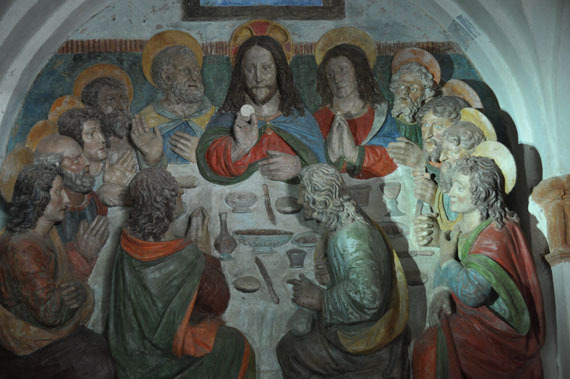 They are painted in full colour but not glazed or baked, so in most cases colour was restored over the years. 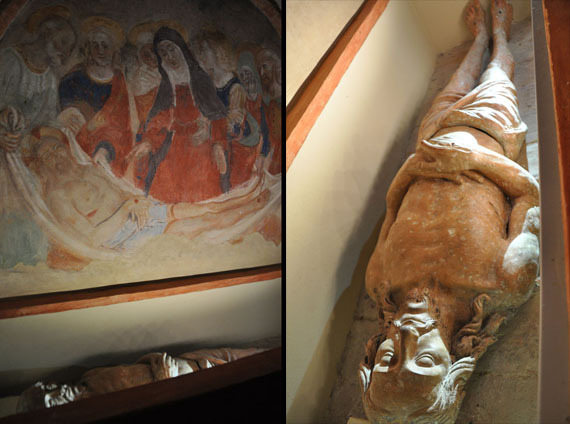 Most chapels also were fully frescoed, but few of the originals remain – the best preserved one is that of the Crucifixion, in which we understand that the frescoes added many important narrative elements necessary to tell the story. I took photos in every chapel – many of them are below, but you can find the full resolution and whole collection on Flickr. For further information and to visit San Vivaldo see their official website. 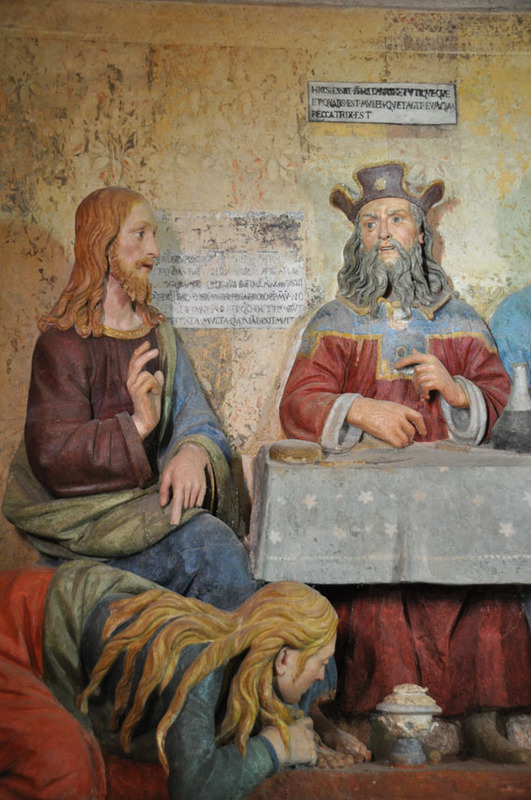 In writing this article, I found the academic essay in Italian by Fabio Giunta, Percorsi emblematici nell’età della Controriforma: il pellegrinaggio al Sacro Monte di Varallo, to be very useful.